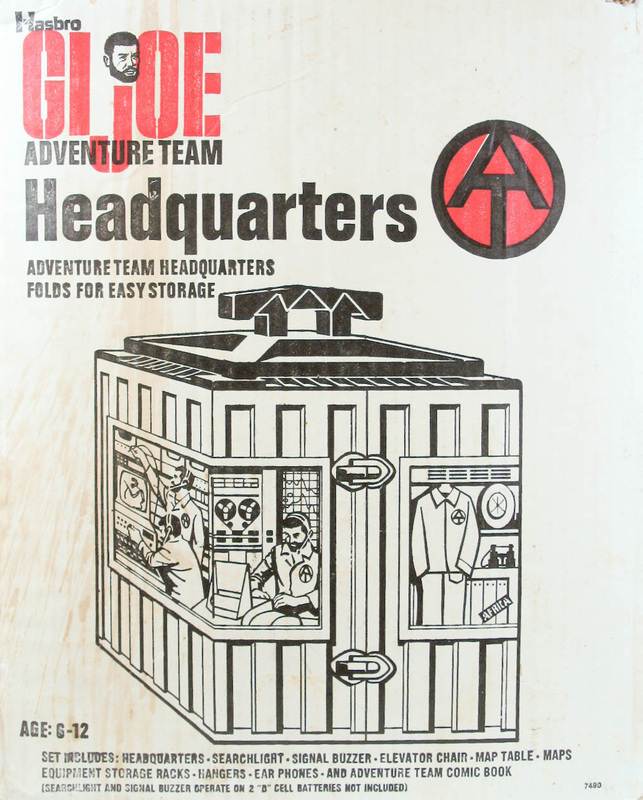 The Adventure Team Headquarters (7490) was a fantastic playset that folded into a compact case. Introduced in 1972, it stayed a part of the line through 1975. 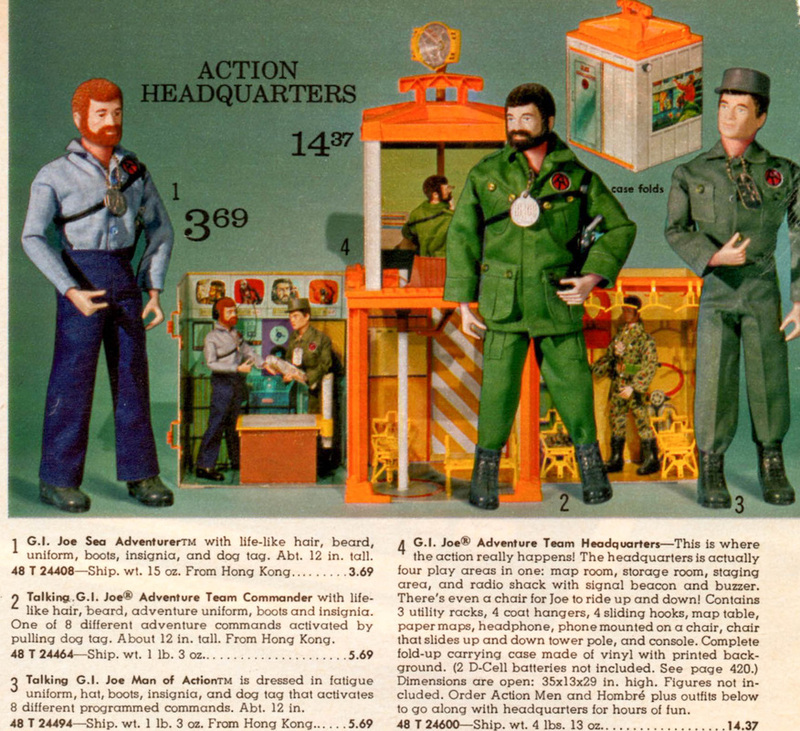 Covered with thrilling illustrations of gadgetry and GI Joe getting ready for missions, it inspires a kid's imagination to dream countless adventures. Like the tagline says, "It's where the action begins!" The spotlight worked, and the control panel also has a signal buzzer for the Commander to alert the team when Danger approaches. Along with the control tower there is a communications area and a store room for all your gear. Above and left, the brilliant box art for the set. There are several variations of the HQ, relating to the window of the central tower and the map table. The control tower window comes in three variations- clear, a golden orange, and a version with a vacuum molded insert that gives the window a beveled or faceted look. The map table base is a simple paper covered cardboard box that comes in multiple colors including tan, blue, green, purple, and salmon. If you can help the site out by providing pics of any of these variations, contact me! Above, the set closed for transport. 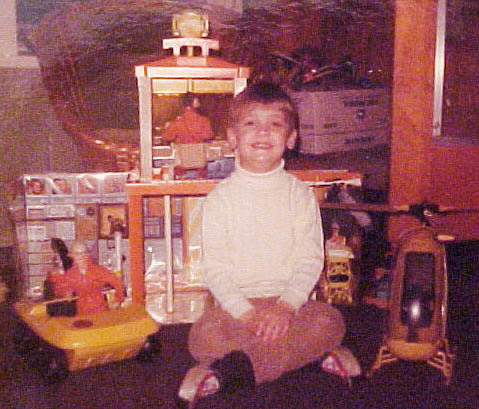 Below, me with my Headquarters set up circa 1973. Note the gold window in the tower. Above, 1973 Montgomery Wards catalog with a prototype HQ, note the large orange closure clips of the left side. 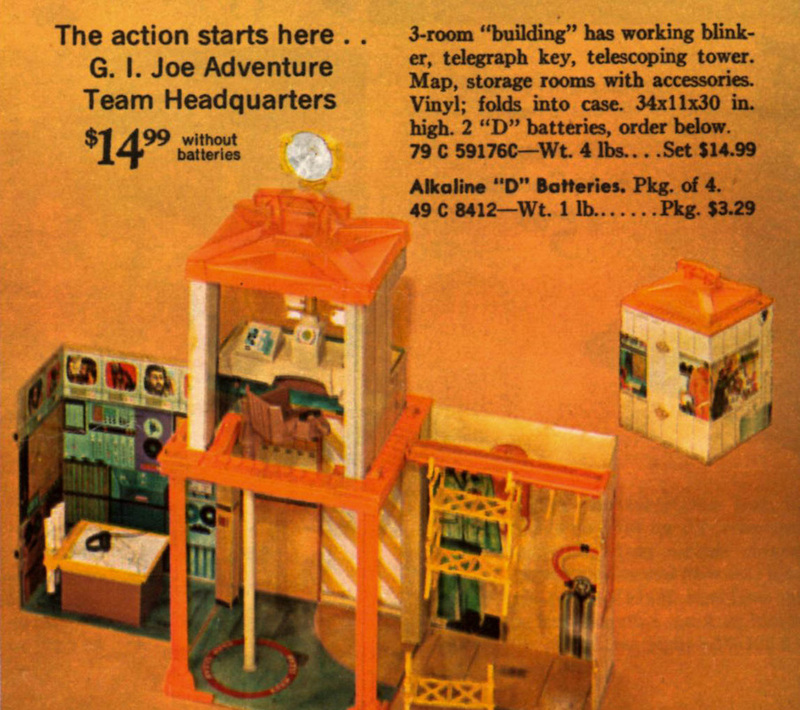 Below, Sears 1971 or 72 catalog ad with another prototype, note the interior of the supply room.